CPCC students should plan to attend the CPCC Career Fair, being held tomorrow (March 6) from 10 a.m. to 2:30 p.m. at the Grady Cole Center. If you are looking for a full-time or part-time job, this is a great opportunity to get face-to-face time with employers who are actively hiring. 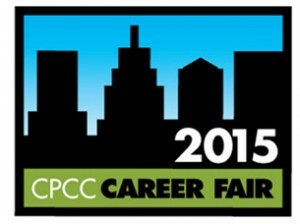 Check the CPCC Career Services Career Fair Employer Page to see which companies are attending. Over 95 employers from a variety of industries will be on site! • Review February posts from the CPCC Career Services blog. 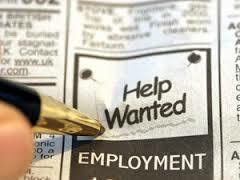 Last month we offered weekly posts on Career Fair items. From resume tips to how to dress professionally, many of your questions can be answered here. • Assemble your professional dress now. Make sure clothes are pressed and accessories are chosen wisely. Don’t forget a tote or professional bag (if possible, no backpacks) to carry resumes and gather employer information. • Practice your elevator speech. Rehearse your elevator speech in front of a mirror, friends or family. You want employers to know you’re confident and knowledgeable about your skills and qualifications as they relate to the job. Practice a firm handshake, too! • Research employers you plan to meet with. Use the Career Fair Employer Page to identify which employers you plan to speak with at the event. Use the companies’ websites and social media presence (Facebook pages, LinkedIn profiles, Twitter handles) to learn about the companies and prepare questions to ask. • Arrive early. Parking fills up quickly and lines get long. • Check the weather. You may be standing outside in the early morning hours. Dress accordingly. • Plan your transportation. Parking in the Student Decks will be available (no permit required), or plan your bus route. • Arrange for childcare. Job applicants who bring children to the career fair will not be admitted to the event. • Bring a snack. Pack a small bottle of water and a snack to keep your energy up throughout the day. • Have multiple copies of your resume. Estimate how many employers you’ll be speaking to, but bring a few additional copies just in case. Is Your Resume Ready for the Career Fair? More than 80 employers registered for the CPCC Career Fair! The CPCC Career Fair is just a few weeks away! Mark your calendar for Thursday March 6, 10 a.m. to 2:30 p.m. Companies from a variety of industries will be at the Grady Cole Center to discuss part-time and full-time job openings. Don’t judge a company by its title or industry. 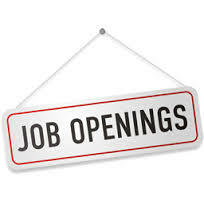 One employer is looking for candidates from three different programs (Business Administration, Hospitality Management and Air Conditioning, Heating and Refrigeration Technology). Another employer from the banking industry is seeking students from the Criminal Justice Technology program. Be sure to visit the list of employers link and search by academic programs to find companies looking for your qualifications. Update or create your resume now and bring many copies to the career fair. Employers will be collecting and reviewing them, looking for candidates to contact for job interviews. Will your resume make the cut? Develop a one page resume that’s targeted to specific companies and industries. Use keywords found in your targeted industries and action verbs to describe job duties. Make sure the appearance is consistent and standard (no fancy fonts or colored graphics). Remember that employers glance at resumes for an average of just six seconds! Visit the Career Services blog and the Career Services Career Fair link for more helpful information. Finally, have your resume reviewed by a career counselor in our offices located on all campuses. Contact our Central Campus office at 704.330.6433, CH 365 or view contact information for Career Services at other campuses. Are You on LinkedIn? Why Not? It’s easy to feel like LinkedIn isn’t for you when you’re a college student. But Career Services wants to change all that. Have you considered some of the following myths about LinkedIn? Sure, your work experience can be highlighted on your LinkedIn profile, but it’s so much more. You can learn about companies in the industry you want to work in, connect with other students and professionals, and you can get insider information by joining groups related to your field. Your LinkedIn profile can be used to highlight technical skills you are learning in class, extracurricular activities, projects you work on in class, cooperative education or internships, and volunteer experience. You can also highlight interests and the classes you are currently taking. 93% of employers who recruit using social media do it on LinkedIn (Jobvite, 2012). It’s designed for connecting professionally rather than socially. If you wait until you’re looking for a job to use LinkedIn, you’ll miss out on some great opportunities to connect with professionals in your field. Getting established on LinkedIn early in your college career instead of waiting until you graduate guarantees you’ll get the most out of this tool. 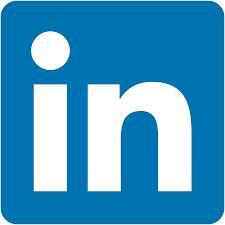 Want to learn more about LinkedIn? Watch this quick video. Join Career Services for discussion about career-related topics, including LinkedIn at www.linkedin.com/groups?gid=4539968.